Our neighbor's Spring bulbs, popping out after a few warm days. 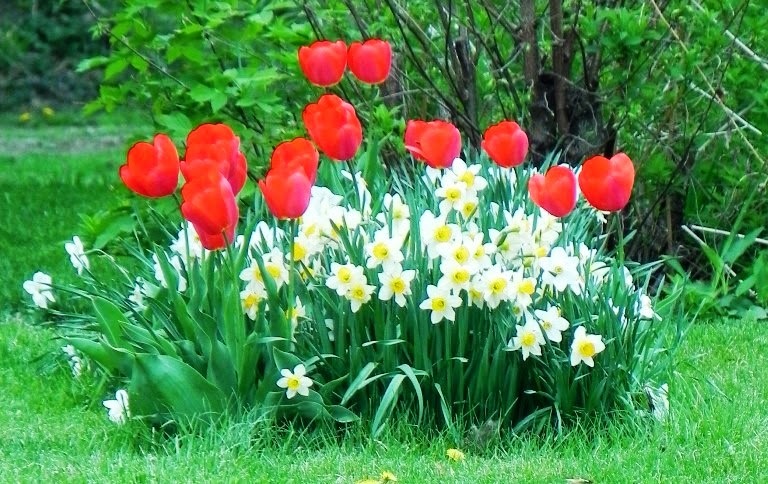 I love tulips. Sure wish they lasted longer! That is a bright and cheery patch to look at. I agree; very cheeful. This is such a beautiful time of year in SE Iowa.